In the lab, we offer the ultimate research tool, OPT-HPT. This allows the developer to vary product hold time under high pressure. 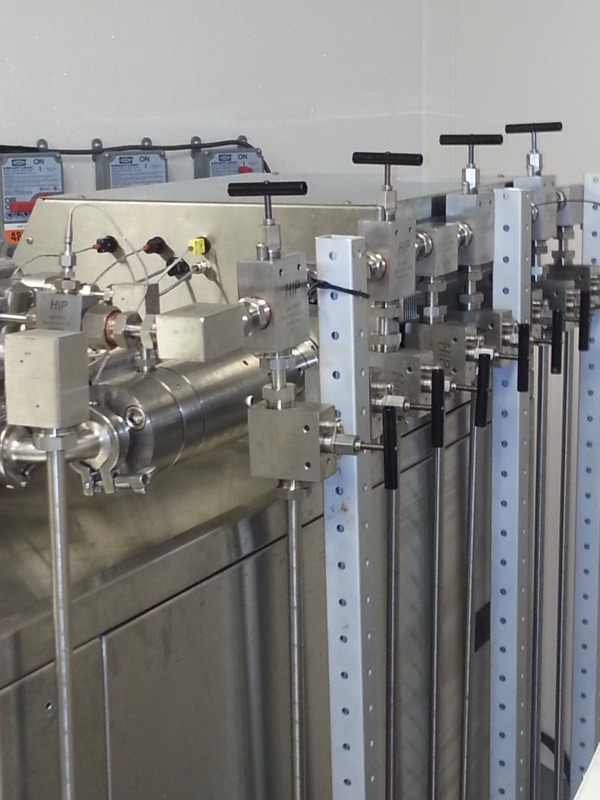 This option includes twelve vales and over 23 additional feet of tubing for testing both fluid and static process conditions. HPP is at work in the food industry removing food borne pathogens and other organisms that cause spoilage. BEE International's technology provides a continuous stream of product avoiding the use of bulky and expensive pressure vessels/tanks used in batch processes. 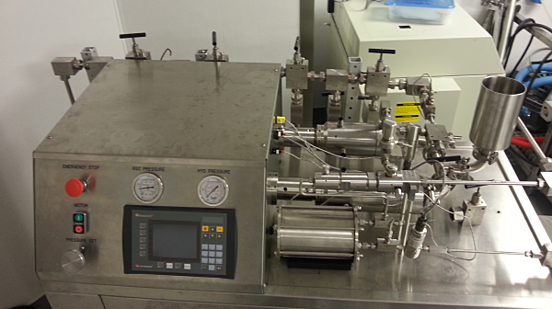 Our proprietary modular design also allows for the processing of pulpy and viscous food products. 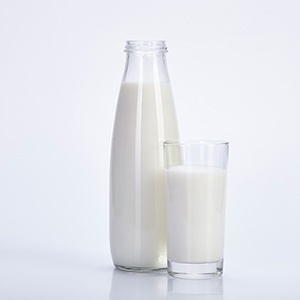 As food and beverage products experience high pressure, microbial inactivation is achieved. This is a non-thermal process with better retention of nutritional values, sensory and microbiological quality with litte or no preservatives. Of course coming from BEE International, our pilot scale high pressure processing HPP system is designed for enhanced experimentation. This means the scientist can easily adjust the hold time through a simple series of valves while maintaining maximum pressure and continuous flow. Achieve the optimum results in the fewest passes in the laboratory and scale up to the most efficient and economic manufacturing process. BEE High Pressure Processing is an in-line process for liquids. Pressure up to 45,000 psi is available. 1) Product enters the system and is pumped up to the selected pressure. It is maintained at this pressure for the desired hold time. 2) Product passes through a small orifice and experiences an extreme pressure drop, creating the mechanical force of cavitation and rupturing cells.